Perhaps THE most common phrase I hear on a day-to-day basis, the need for fresh, creative content across all platforms has become a TOP priority for anyone looking to grow their business or personal profile online. While it’s commonplace now that content creation sits at the core of all marketing strategies, it’s easy to forget that just a few short years ago, people didn’t really use the term “content” very much. In fact, I only recently started using the term “content creation” in my social media bios and on my website - replacing what I used to call ‘social media marketing’. If you’re not really sure what content marketing actually is, it could be defined as a marketing strategy with a focus on providing quality information to the customer (as opposed to overtly “selling” the product) and building a lasting relationship with them. It’s easy to see how we’re surrounded by content marketing everywhere - Instagram, Facebook, YouTube vlogs, blogs, newsletters, magazines, podcasts… the list goes on. So, as a business, organization or as a public figure... how do you come up with all of this stuff? And not just once in awhile, either - the onus is on us to consistently create meaningful and fresh content. According to a recent study conducted by the McCarthy Group, 84% of millennials stated that they did not like traditional marketing, nor did they trust it. But how many of them like social media? In order to build trust and to attract an audience (who may have not been immediately interested in your product or service otherwise), a company or public figure must be honest. People can now easily spot phoney advertising, sales tactics, or even a clumsy attempt to jump on a marketing trend. While traditional marketers were busy pushing one-sided messages towards their target audience, content-creators (in the making) were doing something novel - they were listening. They saw an opportunity to be part of the conversation, and to start their own - with a captive, engaged audience. In order to build a trusting relationship, try to use REAL language and REAL photos -versus corporate messaging and stock image. Trust me, it will make a world of difference! Although its form is continuously evolving, storytelling has always been a key component of relationship-based marketing. One GREAT way to create consistent, authentic content is to embrace storytelling. Our clients often breathe a sigh of relief when I assure them that they don’t need to make up a life they don’t have - if you’re looking for personal content (great for relationship building), you can just get in the habit of documenting your everyday experiences in your business! This starts with developing your brand story, and sharing it (often in longer form on your website or social media bios), and then further developing the story through regular short-form content - social media posts showing day-to-day operations behind the scenes, in meetings, innovations, and things you learn along the way. If you’re educating potential clients on your products or services, you can use case examples and stories to make a connection and create relevance. One of the most rewarding parts of embracing storytelling as part of your key marketing functions, is the increased feeling of pride and connection to one’s business - as well to the people who are engaging with it online! Basically, it involves the collaboration with an influential leader to promote your product or service as an ambassador for your brand. It doesn’t need to be someone with Kardashian-level influence, either - it could be someone in the community, or even an inside job (an employee or existing customer). Why does it work? People trust other people more than they trust brands, and you’ll be able to reach a far wider audience. While there are certainly challenges that come with influencer marketing it can be a great way to improve positive brand perception at scale. 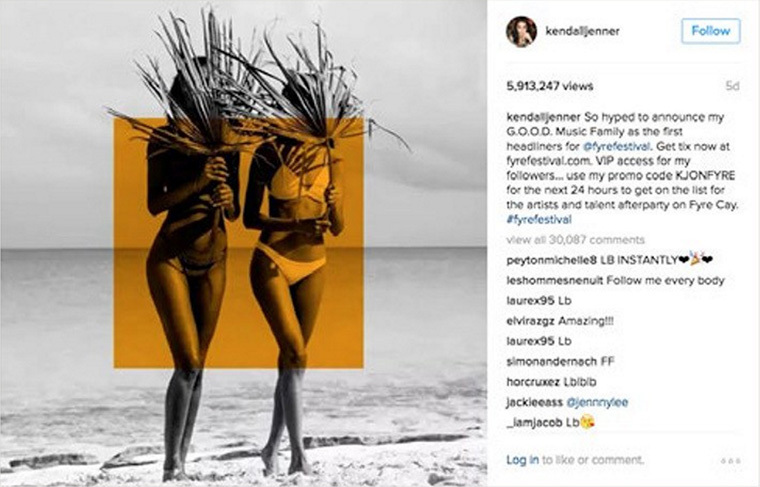 The just-released Netflix documentary on the FYRE Festival, Fyre: The Greatest Party That Never Happened (or just remember the scandal from the news in 2017) is a great example of the power of influencers - watch it today. Despite our best efforts to stay as private as possible online (read my blog post on how to reduce your online footprint and keep your data as safe as possible), it's become very easy for companies to receive all kinds of information about the people behind the screens. This kind of consumer insight has paved the way for enhanced personalization, which in turn, has increased our expectation as consumers to only receive ads and content (and more surprisingly, news) which are catered to our individual beliefs and interests. Marketers in 2019 are becoming more and more savvy to the powers of personalization and targeted ads - and it’s not going anywhere soon! Email newsletters can be an awesome way to integrate your longer-form content (as part of what’s called a ‘sales funnel’) and direct consumers to where you need them to go. I always suggest the email newsletters be carefully thought out. After all, you’re reaching people on a platform which is reserved typically for more important matters - they’ve trusted you with this coveted email address; so please treat it accordingly. Today’s consumers don’t want to feel like they’re being advertised to, and many email providers (like Gmail and Apple Mail) will actually flag emails with too many graphics as being spam - putting all of your hard work to waste! Depending on your industry, you can try text-only, or be very selective about the kind of image you choose. As you build out your content marketing strategy for 2019, these are five solid tips that should help guide the process. If you’d like to dive deeper and get inspired, just let me know, and I’m happy to chat.